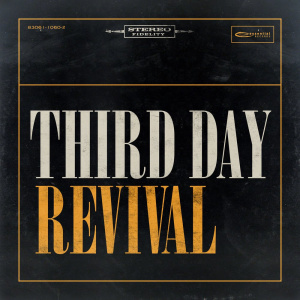 Third Day return to their musical roots with this southern-rock influenced album of uplifting praise and worship. A blast of old-school Gospel music with a southern rock sound, "Revival" is Third Day bringing their influences back to life. For over 20 years the group have grown in size and sound, all the time with a vision to creating worship music that is rich with honest verve. This is an album that aims to be timeless by bringing together a room full of music talent and seeing what happens. The album is also the fulfilment of a decades old dream for the group. Ever since forming, Third Day has wanted to record an album at the iconic Fame Studios in Muscle Shoals, Alabama. Fame has been home to lasting music for many, many years. Musicians like Etta James, Aretha Franklin, Otis Redding and more have graced its walls since opening in the 1950. It is this spirit of nostalgia that permeates the whole of the album. The hope of better time, with an honest-to-goodness heart and a sound of praise that doesn't age. Whether you're a fan of Third Day, of have a heart for old-school Gospel music, Revival has something for you. Across 13 earthy-sounding songs you'll find country music jams, old-time riffs and blues, and a passionate heart to praise God. Songs that rise above the clutter of every-day life, above the trends and gimmicks of pop, and are destined to stand the test of time, Revival proves that going back to your roots is a sure-fire way to discover something meaningful and true. Revival CD by Third Day was published by Authentic in August 2017 and is our 10494th best seller. The ISBN for Revival CD is 083061106027. Be the first to review Revival CD! Got a question? No problem! Just click here to ask us about Revival CD.